More than just a little unique, the annals of that nice lady’s life could render her American royalty, or our own queen mother. Born February 5, 1903 in New York, New York, Joan Whitney descended from individuals noteworthy to her country’ s evolution. Her father Payne Whitney derived his first name from his maternal grandfather, Henry B. Payne, Democratic United States Senator from Ohio 1885-1891. The Paynes trace their ancestral line to William Bradford of the Mayflower. Payne Whitney’s father, New York streetcar magnate William C. Whitney, was Secretary of the Navy in President Grover Cleveland’ s Cabinet. His ancestors arrived in this country on the Arbella, a ship that arrived 10 years after the Mayflower. Joan’s mother, Helen Hay Whitney, was the daughter of distinguished statesman and writer John Hay. Ambassador to Great Britain, and then secretary of state to Presidents William McKinley and Theodore Roosevelt, Hay is best known for his earlier post as assistant private secretary to President Abraham Lincoln. But Joan Payson’ s remarkable lineage does not explain her attraction to what some in her class might consider a commoner’s amusement, baseball. In fact, both of her parents were sports enthusiasts. Captain of his rowing crew while attending Yale, Payne Whitney also had a strong interest in horse racing. With his brother Harry Payne Whitney, he owned several Greentree stables, a training base, and a breeding operation. Joan’s mother Helen shared her husband’s fervor for the track and took over his racing enterprise following his death in 1927. Then, in what may now be considered a preview of her daughter’ s future legacy, Helen Hay Whitney acquired the title “First Lady of the American Turf.” Her Greentree Stables produced such thoroughbreds as Twenty Grand, a 1931 Kentucky Derby winner. Additionally, she adored baseball. She exposed her daughter to the sport early on, taking Joan along on her many trips to the ballpark to see the New York Giants games. Years later in an interview with New York Times writer David Dempsey, Joan Whitney Payson notes that for her mom “racing and baseball were social engagements.” In view of that statement, it does not seem incongruous that the turf’s first lady chose pink and black as her American Jockey Club colors after a favorite tea gown. Payne and Helen Whitney had two children, Joan and her brother John Hay (Jock) Whitney, who was born August 17, 1904. The family had a number of residences, but the two most often cited are the Greentree estate in Manhasset, Long Island, and an Italian Renaissance-palazzo style mansion in Manhattan. Built as a wedding present from Payne’s uncle, Oliver Payne, the Stanford White-designed building at 972 Fifth Avenue housed the Whitney family and some 13 servants. Joan likely spent much of her youth at the Fifth Avenue house, as she gained her formal education in the city, attending the exclusive all-girls Miss Chapin’s School (later called The Chapin School). She then studied at Barnard College for a year, and took a course at Brown’s Business College. Aside from that, she learned to ride horses at a very early age, and at Saratoga “ was allowed to bet a quarter on each race.”. She picked up her baseball acumen at the Polo Grounds. Joan’ s parents introduced her to New York society by giving a ball for her “at the Plaza” just before her 19th birthday. Two years later, after throwing a black and white costume dinner and dance to celebrate her coming of age, they announced her engagement to Charles Shipman Payson of Portland, Maine. The young blonde debutante met the tall, rusty-haired Yale graduate while on a visit to New Haven with her father. In his final year at Harvard Law School at the time of the betrothal, the son of an investment banker brought to the coupling an ancestry equally significant to American history. Charles Payson’s great-grandfather, clergyman Edward Payson, was at one time celebrated for his posthumously published sermons and memoirs. Charles’s maternal grandfather, General John Marshall Brown, served in the Civil War. His maternal great grandmother, Alida Carroll, descended from Daniel Carroll, whose farm became part of what is now the nation’s capital. A major social event in the making, the couple’s wedding plans made headlines. The predictably large affair included six bridesmaids and two matrons of honor--one being the bride’ s cousin, the former Evelyn Wadsworth, wife of United States Senator from Missouri, Stuart Symington. With the maids, matrons, and their escorts, a flower girl, the best man (Joan’ s brother Jock), and other family members present, Charles Shipman Payson and Joan Whitney wed at Christ Church in Manhasset. on July 5, 1924. While Charles emerged as a business tycoon by investing in such ventures as importing sugar syrups from Cuba and backing Rustless Iron Corporation of America (a producer of stainless steel), Joan bore five heirs to the accumulating fortune. By the time the Paysons held a costume dance at their Long Island spread to celebrate their 13th wedding anniversary, the couple had three daughters and two sons. As the clan grew, it gained as many homes, the one most often mentioned by the media being their Manhasset residence on the Whitney Greentrees estate. Built in the 1920s on the 110 acres given to the Paysons as a wedding gift by Joan’ s parents, the William Delano-designed house described as “ drop-dead fabulous,” boasted a cobblestone front courtyard and iron-filigree portals framing the front door. In addition to that home, the Paysons established retreats at Falmouth Foreside, Maine; Hobe Sound, Florida; Lexington, Kentucky; and Saratoga, New York. Reports of frequent soirees such as that July 3, 1937 anniversary party at Long Island would suggest a free-and-easy lifestyle. However, the Paysons always had a place in Manhattan, close to the action. She found fulfillment in more industrious activities than just hosting social affairs. In addition to running a retail business, Joan Payson enjoyed reading plays and film scripts, as did her brother Jock, who by the 1930s served as chairman of Selznick International Pictures. The two Whitney siblings made a bundle investing in such classic productions as Hollywood’s Gone With The Wind. Notwithstanding, the Paysons and the Whitneys did not survive World War II unscathed. Also civic minded, Joan took an active role in politics as a member of the Women’s National Republican Club, still headquartered on New York City’ s Upper West Side today. After the country’s 1956 presidential election, a senatorial fact-finding committee reported that she had given the “second largest individual contribution ($65,050) during that campaign--to the Republican Party.” But great sums of the Whitney siblings’ fortune went to charitable and artistic concerns. Some of that fortune came from the Whitneys’ Greentree stables that Joan and Jock inherited and controlled after their mother died in 1944. They were as fond of horse racing as their mom. Additionally, Joan came to invest in another favorite sport--baseball. During the 1950s, she bought into the ballclub that she had followed all of her life. During a luncheon conversation, stockbroker M. Donald Grant happened to tell Joan that he always wanted to manage a ballclub. She commented that she always wanted to own one, and convinced him to sell her his one share in the Giants. She eventually owned nearly 10 percent of the club. Then, when the owner majority decided to move the franchise out of state, Joan opposed them and tried in vain to buy them out. The end of the 1957 season left her devastated when it became clear that not only would her beloved Giants relocate to California, but so would the Brooklyn Dodgers. Thus, when New York attorney William Shea took Branch Rickey’ s advice in creating a third major league, the Continental League, he sought ball fans with deep pockets to finance a New York franchise. The perfect candidate, Joan Payson, wound up owning approximately 80 percent of the new club. Her friends M. Donald Grant and fellow stockbrokers Frederick Trask and G. Herbert Walker (an uncle to George Herbert Walker Bush called “ Uncle Herbie”) got the remaining shares. After the Continental League fizzled, the New York club was awarded a National League franchise in 1960. The official naming took place at Joan Payson’s Manhattan apartment on May 6, 1961. A group of New York sportswriters considered a number of club name ideas including the Meadowlarks, which writer Jack Lang reported as Joan Payson’s preference. Maury Allen, in his book After The Miracle, draws an entertaining and telling account of that gathering. Revealing that the team’s public relations man “spilled a drink on Mrs. Payson’ s fifty thousand-dollar rug,” and that the group soaked up plenty of her expensive liquor, he veers to a commentary on the franchise owner’s priceless art works displayed at her apartment. The announcement of the official name Mets came the next day. Allen writes that on May 8, 1961, at the Savoy-Hilton Hotel, Joan Payson “broke a bottle of champagne over a bat to symbolize the christening.” And who better to christen the new organization than the woman destined to mother a group of ballplayers. In those early times, one might say that they were a team that only a mother could love. Which leads to the thought that perhaps it was Mrs. Payson who unwittingly instigated the inexplicable affection showered on them by the fans. On October 18, 1960, a biographical sketch of the National League’ s new New York franchise owner appeared in the New York Times. Interestingly, the piece refers to the lady only as “Mrs. Charles Shipman Payson,” and “Mrs. Payson” That custom apparently carried over from nearly 50 years earlier when the St. Louis papers reported the new owner of the St. Louis Cardinals. Instead of giving Helene Hathaway Robison Britton’ s full name, the media simply called her Mrs. Schuyler Britton. Though at the time the baseball world fretted over a woman taking over the helm, little attention was paid to the fact that Helene Britton was the first woman to own a major league baseball club. Joan Payson was the first to purchase one, and that fact, too. went unnoticed. Joan’ s brother Jock’s credentials by then, his positions as Ambassador to Britain, and publisher of the New York Herald Tribune then took precedence, as that information appeared in the story’s lead paragraph. Albeit, the article relays some revealing details about Joan Payson’s persona. Describing her as a woman who “dresses simply and wears little makeup,” it discloses several of her habits that got frequent mention during her reign as baseball owner. Various stories throughout the years mention her affection for horses and other animals, making it known that she took two or three of her dachshunds with her on her many travels. In his 1968 piece, Dempsey recounts details of the mode of transportation for some Payson family journeys, a private Pullman car named Adios II. The car had three bedrooms, a bar, and a lounge, and in addition to such artwork as a Matisse painting, one could find children’s bicycles and games aboard. A devoted grandmother by the time she bought the Mets, Joan Payson preferred playing card games with the kids to conferring with her stockbroker. In the manner of a true sports fan, Joan carried a portable radio with her and would tune in baseball or football games while at the racetrack. She would even conceal that radio in her evening bag when she attended society events such as charity balls, or while dining out. And, in the time-honored tradition of baseball fanatics from the beginning, she held to superstitions. For instance, she insisted that when the home team took the lead, one remained wherever one happened to be seated at the time. Numerous portrayals of her at a ballgame describe her crossing her fingers during crucial plays. During those early calamitous years, when one win with nothing more at stake than the final tally in the record books gave rise to fan hysteria, Joan Payson nurtured everyone in the organization. Friendly and approachable to players and fans alike, she would wave happily to anyone in the stands who called her name. Ballplayers felt as much at ease chatting with her as they would with one another. Former Mets second baseman Ron Hunt, who made his major league debut with the club in 1963, recalls, “ Her and Casey Stengel took care of me.” Hunt’s wife Jackie warmly remembers how Joan. Payson watched over all of the players and their families. Jackie calls her and Ron’s first child Tracy a “Mets baby” and still cherishes the sterling silver Tiffany cup and spoon set that Joan Payson gave them when Tracy was born. “She made you feel like family” Jackie reflects, going on to tell how the generous owner would charter a plane and take the whole team and their families to places like Cooperstown. The owner even sent Ron roses as a reward for a game-winning hit. Ron Hunt echoes the observations of writers of the times. “Sitting in the stands, she looked like an ordinary ball fan,” he says, reiterating that the Mets owner was a good family woman. Yet his memory is bittersweet. He first learned about being traded to the Dodgers from a sports writer. Then, the next time the Mets faced Los Angeles, he went up to Payson’s box and told her that the trade disappointed him. She responded, “I was disappointed, too. But you were the only one that was tradable.” Such quotes shed some light on Joan Whitney Payson as more than a figurehead. She obviously made savvy business decisions in the best interest of the Mets family. Joan Payson’ s good humor never failed her. Despite the team’s dreadful first years, and the bizarre circumstance of heavy attendance that prevented her from claiming a tax loss, the birth mother of the Mets kept up a staunch front. Everyone who came in contact with her seemed bound to her by respect. Bing Devine writes in his memoirs that when he decided to give up his position as club president, he walked 20 blocks just to tell her in person. “I felt that I owed that to her because she had been so good to me,” he explains. Following his resignation, a February 1968 news story revealed that “six members of the board ‘persuaded’ Mrs. Payson to accept the title herself.” The story adds, “ She accepted with one condition: No speeches.” Obviously, she sought neither the position nor the limelight. Maintaining a wait-and-see attitude when the world began to believe that the Mets were for real during the summer of 1969, the club’ s inveterate owner continued watching the games from her box behind first base--often accompanied by some of her children, growing flock of grandchildren, and sometimes her husband. When not able to see it in person, she caught the game by radio or TV, or got the final tally by mail. Having made earlier plans to visit her daughter in Europe in September that year, her innate baseball superstition kept her from canceling the trip when her amazin’ bunch miraculously found themselves in first place. As it happened, Mrs. Payson was in London, sick in bed with bronchitis when the club captured the National League East Division title. Her congratulations to manager Gil Hodges, the players, and the rest of the organization arrived by wire. Fully recovered, and on her first visit to Atlanta since going with Jock to attend the premiere of their financial boon Gone With The Wind 30 years earlier, Joan reflected on the Mets miracle while attending the second National League Championship Series game in Atlanta that year. “In the old days, it wasn’ t funny…it broke your heart,” she told a reporter. She added that when they finally took first place, she just sat there crying. As would most proud mothers. Three years later, Joan brought back her favorite Giant, Willie Mays. In 1972, the Mets made a deal with San Francisco for Mays at her insistence. Though in the twilight of his career, the future Hall of Famer rewarded Payson for her faith in him by hitting a game-winning homer in his first game as a Met. Even as the Mets stormed to a pennant and came within a game of their second world championship in 1973, in the next few years the ebullient Joan Payson faced the dusk of her life. Although reportedly incapacitated for some time, she attended a board meeting and a Mets-Braves exhibition game in Florida on March 20, 1975. The Mets, who had lost eight of their first 11 pre-season games, “ treated their principal owner to a 3-0 victory.” Then, after suffering a stroke in mid-June, Joan Whitney Payson died on October 4 at the age of 72, dying just one week after Casey Stengel succumbed to cancer in California. She took her last breath at New York Hospital. Her great uncle, father, and brother had been instrumental in expanding that institution to a medical complex that includes Cornell Medical Center. In the family tradition, Joan had donated $8.3 million to its support. That was just a minute part of the legacy of the woman many remember at the ballpark munching on hot dogs, or eating chocolate ice cream with a wooden spoon, or clutching a trusty score-keeping pencil between her teeth while clapping her hands joyously. The funeral took place at Christ Episcopal in Manhasset, the same church where Joan and Charles were married. In the eulogy, the church vicar observed, “There is no way of measuring the impact of Joan Whitney Payson on the world.” Friends she accumulated over the years through her wide array of interests packed the small family church to pay tribute, Willie Mays included. Following the service, she was buried at the Payson family cemetery in Falmouth Foreside, Maine. 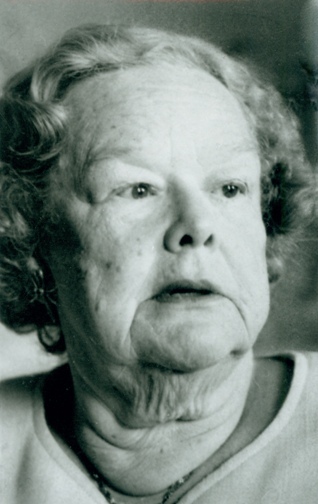 She left behind her husband Charles, brother Jock, daughters Sandra, Payne, and Lorinda (who assumed the title of president of the Mets), son John, 11 grandchildren, and a host of baseball players, managers, executives, and fans. After the Payson family sold the Mets in 1980, the new owners of the club established a Mets Hall of Fame the following year. The first two inductees were, fittingly, Casey Stengel and Joan Payson. In addition to New York Hospital, Joan Payson’ s millions benefited St. Mary’ s Hospital in Long Beach, Florida, the United Hospital Fund, the Lighthouse in Manhattan, and the North Shore Hospital in Manhasset, which she helped found. She was also president of the Helen Hay Whitney Foundation, a medical research organization. A trustee of New York’ s Museum of Modern Art and Metropolitan Museum of Art, she also owned the Palm Beach Gallery and Country Life Gallery in Locust Valley, Long Island. The Joan Whitney Payson Collection from the Portland, Maine Museum, which includes paintings by notable artists such as Degas, is now regularly on loan to Colby College in Waterville, Maine. An Impressionist devotee, Joan Payson purchased Van Gogh’ s Irises for $80,000 in 1947. Twelve years after her death, her family sold it for a hefty $39.9 million. The proceeds went to charity. In April 1984, two nationally historic treasures came to light during preparations for an on-site estate sale at the Payson’s Long Island home. The priceless items discovered in a compartment of a Georgian table included a manuscript of President Lincoln’s last public address, and an autographed photo of famed American poet Walt Whitman along with a copy of his famous work “Captain! My Captain,” as well as a letter written to Joan Whitney Payson’s grandfather, John Hay--the poem and letter written in Whitman’ s own hand. One can only guess what kind of elegy Whitman would have penned about our game’ s queen mother. “Amazin’ Again.” Time. June 5, 1972. Berry, Heidi L. “Seeking Autographs and Manuscripts of the Mighty.” Washington Post, May 31, 1984. “C.S. Paysons Hosts At Costume Dance” NewYork Times. July 4, 1937. “Col. Whitney Is Honored.” New York Times. March 30, 1945. Curtis, Charlotte. “Even Truman Capote Is Aware of the New Heroes.” New York Times. September 26, 1969. “Daughter of Mr. and Mrs. Payne Whitney to Marry Charles S. Payson of Portland, Me.” New York Times. February 5, 1924. Dempsey, David. “Says Mrs. Payson of the Mets, ‘You Can’t Lose Them All’” New York Times Magazine. January 23, 1968. Durso, Joseph. “Joan Whitney Payson, 72, Mets Owner, Dies.” New York Times. October 5, 1975. Deaths. Durso, Joseph. “Mrs. Payson Elected President of the Mets, Succeeding Devine.” New York Times, February 7, 1968. “George Bush: The Unauthorized Biography.” http://killtown.911revieworg.bushbio/chapter4.html. “He Was Killed in Action Before His 20th Birthday.” New York Times. February 19, 1945. Hunt, Jackie. Telephone interview by Joan M. Thomas. January 27, 2008. Hunt, Ron. Telephone interview by Joan M. Thomas. January 27, 2008. “‘Irises’ Sale Resurrects Price Issue.” Chicago Tribune. January 12, 1990. “It Ain’t What They Do It’s the Way That They Do it.” Time. www.time.com/time/printout/0,8816,830205,00.html. “J.H. Whitney Captured; Colonel Reported Taken by Germans Somewhere in France.” August 30, 1944. P. 13. “Joan (Whitney) Payson (1903-1975) www.whitney.gen.org/archives/biography/joan.html. “Mets Win One, 3-0 For Mrs. Payson.” New York Times. March 21, 1975. Montgomery, Paul L. “Diverse Friends of Joan Payson Fill Church for Last Good-bys.” New York Times. October 8, 1975. “Mrs. Payson Fails to See Final Out.” New York Times. October 13, 1969. “Mrs. Payson Says Heartbreak Gave Way to Her Tears of Joy.” New York Times. October 6, 1969. “Mrs. J. Payson wires congratulations” New York Times. September 25, 1969. “Names make news.” Time. March 16, 1931. Payne, Henry B. (1810-1896) http;//bioguide.congress.gov.scripts.bidisplay.pl?index=P000151. “People.” Time. March 2, 1962. “People.” Time. October 25, 1963. Reif, Rita. “The Payson’s home on view; New York Times. April 27, 1984. “Rustless Victory.” Time. March 13, 1933. “She Doubles in Clubs.” New York Times. October 18, 1960. 2: 3-4. Smith, J. Y. “Publisher, Former Ambassador John Hay Whitney Dies.” Washington Post. February 9, 1982. “Stanford White.” 972 Fifth Ave. nyc-architechture.com. Teltsch, Kathleen. “Medical Center Gets $1.5 Million Whitney Gift.” New York Times. October 24, 1982. A: 40. “Van Gogh’s Irises Is Bought by California’s Getty Museum.” Chicago Tribune. March 22, 1990. infoweb.newsbank.com. docid=OFF829866. Women In World History. “Payson, Joan Whitney.” Vol. 12. 418-419. Women In World History. “Whitney, Helen Hay.” Vol. 12. 492-493. “31 More Writers Will Aid Book Fair.” New York Times. October 1936. N8.